Haiku Studios Reunion Pre Holiday Sale! I am leaving out of town on Nov 14th and need to clear out my studio of all the fall winter clothes that I won’t be selling in town this year. 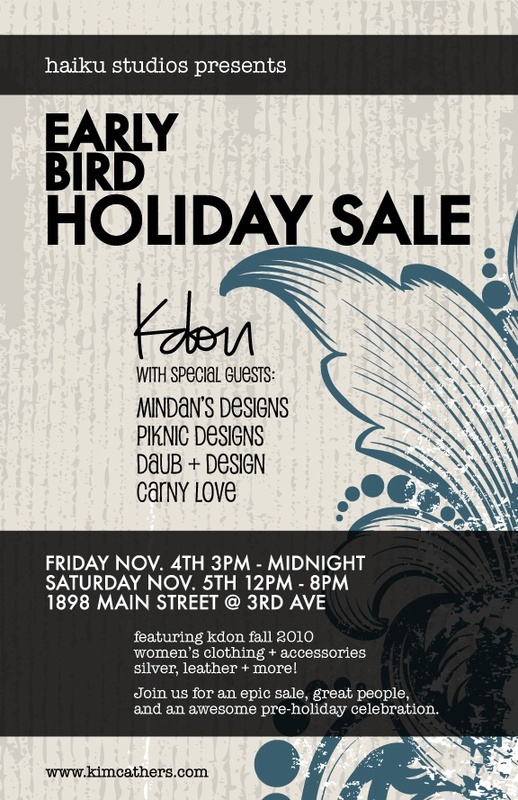 I’ve in invited a few friends along to sell their goods for a pre-holiday sale. There will be, beverages, good people, good times, lots of great deals!